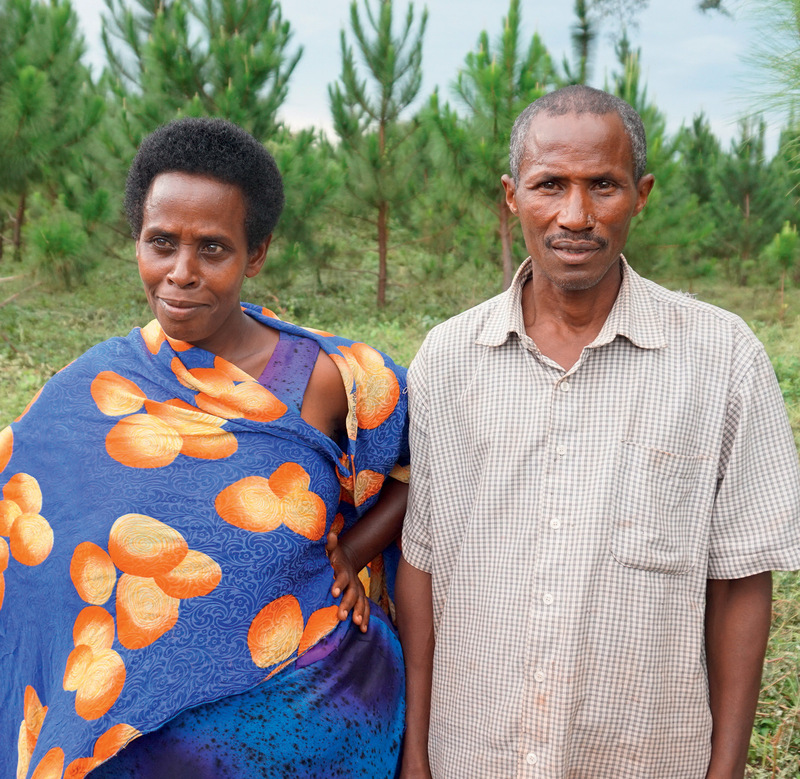 Ugandan cattle herder Lawrence Kamonyo and his wife, flanked by rows of pine trees planted by the German company Global Woods. The wood is certified but Kamonyo lost his land and his livelihood. The Forest Stewardship Council (FSC) was formed in 1993 by a group of environmental NGOs, timber companies and traders to promote ‘environmentally appropriate, socially beneficial, and economically viable management of the world’s forests’. Today, more than 187 million hectares of forests and tree plantations have been certified under the FSC system. Consumers buy FSC products believing they exclude timber from socially and environmentally damaging forestry operations. But is this really the case? In 2002, I looked at FSC certification of two teak plantations run by the Forest Industry Organization (FIO) in Thailand. The case study was part of a report by the UK Rainforest Foundation, ‘Trading in Credibility: The myth and reality of the Forest Stewardship Council’. While the FIO’s certification was subsequently withdrawn, the FSC ignored the underlying structural problems. More than a decade later, those problems remain. One major issue is that certification is voluntary. Another is that the FSC certifies tree plantations and logging in primary forests, despite the impact on local communities and the environment. But the central conflict of interest is that to vet forestry companies the FSC uses third-party certifying firms – which are paid directly by the forestry company. It is clearly not in the certifying company’s interest to raise too many difficulties; it is in the forestry company’s interest to hire a certifying company with a reputation of not interpreting FSC standards too strictly. Since 2006, Simon and I have run FSC-Watch, a website highlighting abuses and infractions under the FSC system. In that time we’ve featured dozens of examples of serious breakdowns in the certification process. Two recent cases shed light on the FSC’s shortcomings. For the past 14 years, a German company, Global Woods, has been planting pine trees in the Kikonda Forest Reserve, 200 kilometres northwest of Kampala. The company claims the plantation produces ‘sustainable timber’. Since 2012, its operations have been FSC certified – despite the fact that local farmers were forced aside to make way for the plantation and cattle herders lost their grazing land. Officially, the Forest Reserve is state land and Global Woods has a 50-year lease to more than 12,000 hectares. In September 2012, Göran Eklöf, from the Swedish Society for Nature Conservation, visited Kikonda2 and discovered ‘a high level of conflict’ between local communities and Global Woods. Sore points included ‘arbitrary arrests of people, impoundments of cattle entering the reserve, and widespread corruption among forest rangers’. Last December, German journalist Susanne Götze followed up and found that the conflicts are far from resolved.3 Herders complain that the herbicide regularly sprayed between the rows of trees is killing their cattle. But Global Woods manager Matthias Baldus dismisses the claims. He told Götze there is no scientific connection between the chemicals and the sick cattle. In their assessment of Global Woods’ plantations, the certifying company, SGS Qualifor, clearly sides with the company. SGS explains that the Kikonda Central Forest was formally declared a ‘forest reserve’ in 1968 and that under Ugandan law no-one can live or farm in a forest reserve. When dictator Idi Amin seized power in 1971, he encouraged forest clearing so his opponents could not retreat to the bush. In 1975, he issued a decree allowing Ugandans to buy land anywhere (including forest land) for ‘development’. Those changes and general chaos inside the country fuelled internal migration. Cattle herder Lawrence Kamonyo describes Global Woods’ activities as ‘rich white people doing business’. But Kamonyo had the misfortune to be living where Global Woods decided to plant its pine trees. He was evicted and arrested. His house was torched, his children beaten. In December 2015, FSC suspended Brazil’s largest certified forestry operation, Jari Florestal. Since 2004 the company’s 715,000 hectares had been certified by the California-based SCS Global Services. The suspension followed an investigation by Brazil’s Federal Public Ministry, the Federal Police, the Brazilian Institute of Environment (IBAMA) and the Federal Justice department. Jari Florestal and its subsidiaries are suspected of large-scale fraud and laundering of illegal timber. Brazilian authorities say it involves 9,000 cubic metres of timber: about 220 truckloads.4 Between December 2014 and February 2015, more than $7-million worth of timber was transported from just one of the fraudulent forest management areas. A company with a forest concession is allowed to log an agreed amount of timber. Once the trees are cut, the timber is given a tracking number. Laundering illegal timber involves using the tracking number from a legal operation. Playing by the rules: access to the FSC-certified pine plantation in Uganda is heavily restricted. Unfortunately, SCS didn’t dig any deeper. That was left to the Brazilian authorities. In both these cases, FSC’s certifying companies were generous in giving the lumber companies the benefit of the doubt. In Brazil, SCS failed to uncover what appears to be large-scale fraud and illegal timber laundering. 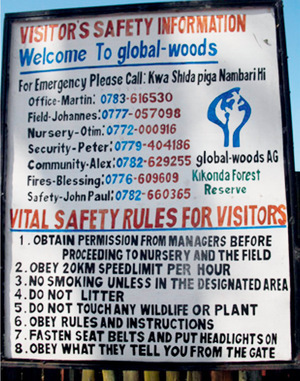 In Uganda, SGS Qualifor sided with Global Woods against local communities. Perhaps we shouldn’t be too surprised. With certifying companies paid directly by logging companies, there are strong incentives to issue the certificate and hope for the best. Chris Lang is a long-time forest activist and blogger. He runs the websites FSC-watch (fsc-watch.org) and REDD-monitor (redd-monitor.org).